Tehran Oil Refinery Company (currently named as Shahid Tondguyan oil refinery), was founded in Tehran in the 1960s. It is one of the largest oil refineries in Iran. The conference hall in the main building is used for international meetings for top Iranian oil industry managers and their counterparties. 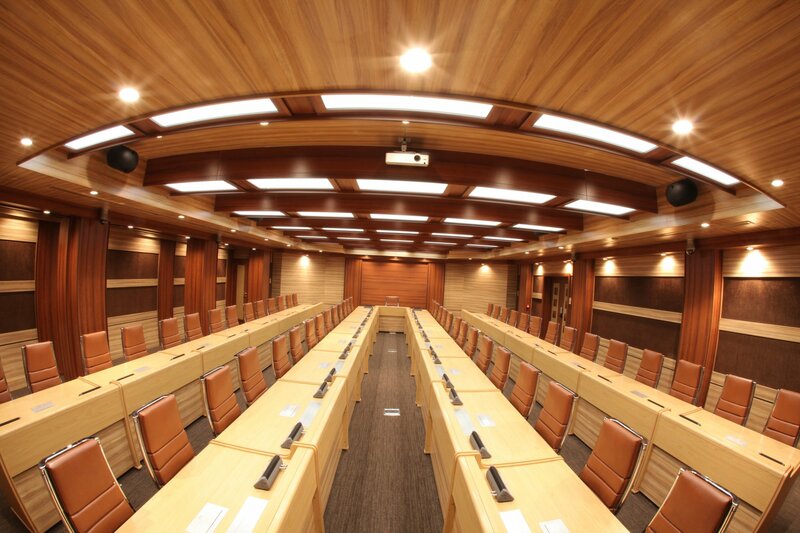 The hall, also known as Shahid Beheshti Hall, is equipped with MCS-Digital conference and interpretation system. The setup includes 60 microphone units using Revoluto technology with voting and language selector options and four MCS-D-202 interpreter units to cover up to 4 foreign languages. Camera auto tracking is also integrated using the iCNS software.